Affiliating your club with the BMC is a straightforward process and you and your members gain many benefits from doing so. A popular social media website has attracted thousands of people to join outdoor clubs across the UK. We take a look at what it is and how you can use it to grow your BMC club. Many clubs have equipment, which can be a valuable resource both for attracting new members, and to broaden the opportunities for existing members. Find out more about how to look after and manage your club safety equipment here. We get asked many questions by BMC clubs. Here the answers to some of them. We hope it's helpful. 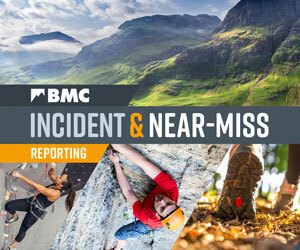 This guidance has been produced by the BMC Clubs Committee and is intended to provide a check list to help the committee members of BMC clubs consider important issues in the running of their club and to develop good practice. Setting up and managing a climbing or walking club can throw up many questions. These guidelines for BMC clubs will help answer some of them.